We have two teams working in Mozambique. The one team operates from Chokwe, about 230 km north of the capital city, Maputo. The other team operates from Tete, in the north west – next to the Zambezi river. There is great physical and spiritual poverty in this devastated country - yet doors are wide open for the Gospel! 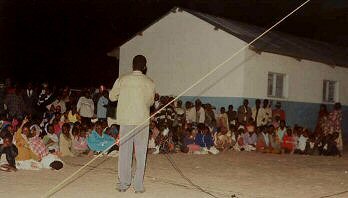 Attendance of evangelistic meetings is overwhelming. Pray for true conversions during our outreaches. It has rightly been said that the church in Mozambique is like a river that is very wide, but not so deep. This is probably as a result of the fact that few of the church leaders have had sufficient theological training. 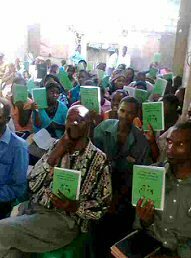 Apart from evangelistic work, our evangelists also strive to offer seminars for such church leaders to help them to grow in their faith and to understand the basic principles of their Christian faith better. We are grateful that both teams enjoy moral support from other missionaries since the Dorothea Mission started working there in the 1990’s. Sometimes they move into very remote areas and are even more dependent on the Lord for His protection – especially regarding malaria.